The Palawan team in the 10th Brunei Darussalam, Indonesia, Malaysia, Philippines Northern Territory-East ASEAN Growth Area (BIMPNT-EAGA) Friendship Games took home three gold medals recently from Brunei Darussalam. 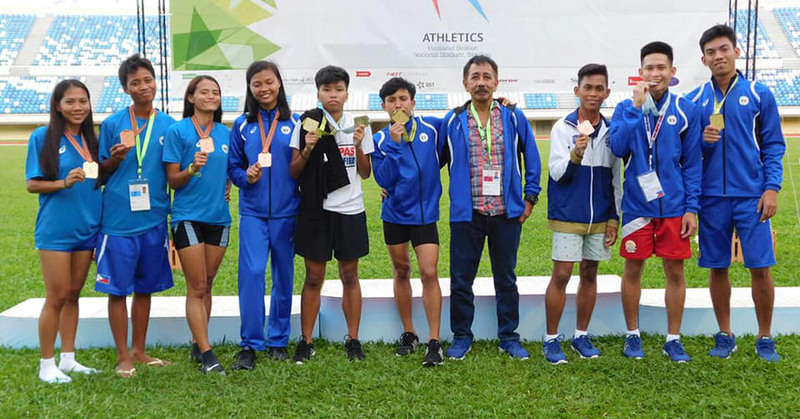 The friendship games which was held between December 7-9 gave the province three gold medals two of which were won by John Lloyd Cabalo in the 400-meter and 800-meter run category for men. The third medal was won by Jessel Lumapas in the 400-meter run for women. Palawan also collected two silver and four bronze medals. Athlete Johndee Cadiz Vinzon won a silver medal for placing second in the 200-meter run for men while the other was won by Lumapas again in the 100-meter run for women. Vinzon won too a bronze medal in the 400-meter run men and Gemphil Gabriel in the 200-meter run for women. In the 4×100-meter relay, the group of Lumapas, Michelle Laipan, Jenelyn Panganiban, and Evangeline Caminong won bronze. Caminong also took home a bronze medal in the women’s long jump. The Palawan team’s participation in the 10th BIMPNT-EAGA) friendship games is in partnership with the Philippine Sports Commission (PSC).